ITC Mughal Sheraton is located in Agra near to "Taj Mahal" the magnificent memoir in the history of India. The ITC Mugahal Sheraton hotel now reflects the majesty of Mughal hospitality through the influences of its landscaping and architecture. A number of flowing fountains, outdoor rain water showers, greenery and embellished interiors lend this 5 star hotel a touch of royal elegance. Known popularly as "ITC Mughal's Kaya Kalp", Mughal Sheraton Hotel is counted as one of the finest hotels of India. Being the only hotel in India to win Aga Khan Award for its immaculate display of Mughal Architecture, the hotel accommodates the brand new Khwab Mahal - Palace of Dreams. With 42 elegantly designed rooms and equipped with all modern amenities, Mughal Sheraton Hotel takes pride in having the biggest luxurious Spa in India. The Hotel is a part of ITC Welcome Group. Rooms: 350 rooms including Presidential Suits and three Deluxe Suits. Room Facilities: Tea/Coffee maker, mini bar, cable television, attached bathrooms, weighing scale, hairdryers, free morning newspaper, telephone with STC/ISD. Facilities: Bus parking, outdoor parking, indoor parking, conference rooms, medical facilities, banquet hall, restaurant, beauty salon, swimming pool, health club, yoga gardens, business center. Services: 24 hours room services, online room booking services, laundry services, dry cleaning services, doctor on call, currency exchange, tour desk services. The Mughal Sheraton hotel Agra comprise 42 elegantly designed rooms, blessed with all modern amenities. 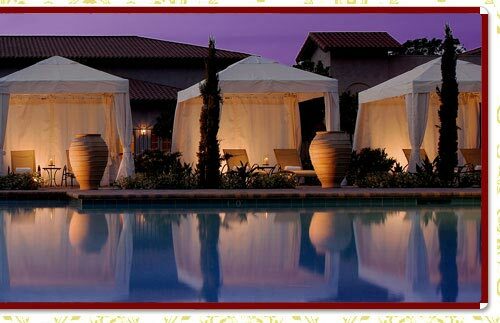 The Mughal Sheraton hotel has spread over 99,000 square feet, making this hotel as biggest Spa across the country. 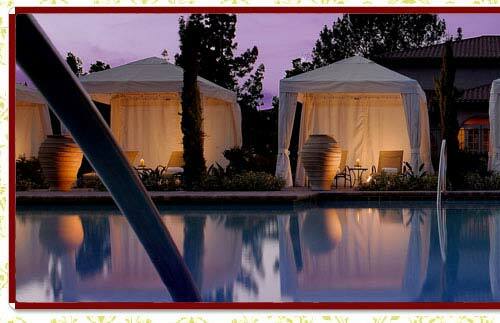 This Spa concludes eight luxurious treatment suits. Few main attractions of this hotel are like Yoga gardens, Relaxation areas, Butterfly Park, Orchard walkway, Bird trail, 25 meter lap pool, Islands of palm and trees and lots more. The Oberoi Amarvilas is a mesmerizing hotels in Agra, enjoying its ideal location near the world known monument - The Taj Mahal. Only Oberoi Amarvilas hotel offers the ultimate luxury offering a close private view the wonderful memoir from its every room. The Oberoi Amarvilas hotel is offering the deluxe suites, luxury suite, lobby and elegantly designed rooms with modern amenities. Just 600 m away from Taj Mahal, the Hotel's Moorish and Mughal Architecture makes it look splendid. A big meeting hall along with lavish gardens, fountains and reflection pools and terrace lawns lend a luxurious look to the hotel. Along with this, one can enjoy the lavish rejuvenation at the Oberoi Spa. The immaculate service levels along with breathtaking views of the grand Taj Mahal without the restriction of visiting hours add on to the ultimate luxury of being at Oberoi Amarvilas. Room Facilities: Satellite television, wireless broadband internet access, spacious marble bathrooms, personal mini-bar, dual line telephones, open-air terraces, separate living room and bedroom, twin vanity counters etc. Services: Reservation services, online room booking services, 24 hours room services, doctor on call services, credit card payment services, laundry services, wakeup services and many more. The plenty of awards won by the hotel as top 100 hotels in the world (Ranked 1st), Top hotels in Asia for services (Ranked 2nd ), Top 15 resorts in Asia (Ranked 1st) and many more. The hotel has built in a style inspired by the Moorish and Mughal architecture that looks so splendid. The hotel encompasses a big meeting hall, gardens, fountains and reflection pools, terraced lawns, reflection pools that are designed in a traditional style. One of the acclaimed 5 star hotels in Agra, Taj Gateway is a gracious hotel captivating the tourists, just because of finest hospitality standards. Part of the Gateway Group, the hotel is designed in an impressive style comprising of gardened landscape spread over six acres. The amicable hospitality along with personalized service gets accentuated with the opulence of the hotel, giving it an edge above others. The open terrace rooms enable the tourists to cherish the close view of "Taj Mahal" with ease. Just three kilometers away from Taj Mahal, the hotel has 100 rooms including five Executive Suites. Room Facilities: LCD TV, Wi-Fi connectivity, Tea/Coffee maker, Hair dryer, central air conditioning, Mini Bar etc. Facilities: Laptop computers on hire, swimming pool, dart games & shooting, beauty parlor, live music, magic shows and many more. The open terrace rooms enable the tourists to cherish the close view of "Taj Mahla" with ease. The offered food is so delicious, but expensive a bit in Taj Gateway hotel Agra. With excellent quality services by well trained hotel staff, Taj Gateway Hotel looks so appealing for all global tourists. This hotel enables the tourists for 24 hours hospitality services and warm welcome in a traditional way. The Jaypee Palace hotel is a mesmerizing hotels in Agra exuding the regal hospitable charm throughout the city. Built from red sandstone and marble, Jaypee Palace's glory stands unbound over 25 acres of landscape with pleasant surroundings. With a unique amalgam of contemporary Mughal architecture along with modern amenities, the hotel fascinates the tourists a lot. The elegantly designed rooms which are also blessed with varied luxuries items for customer's convenience. The ambience is designed very creatively and its royal customer services are also commendable. Room Facilities: Tea/Coffee maker, mini bar, direct dial telephones, weighing scale, free morning newspaper, LCD TVs, sewing kit etc. Services: 24 hours room services, secretarial services, modern business centre, reservation services, online room booking services etc. The elegantly designed rooms which are also blessed with varied luxuries items for customer's convenience. The ambience is designed very creatively and its royal customer services are also commendable.